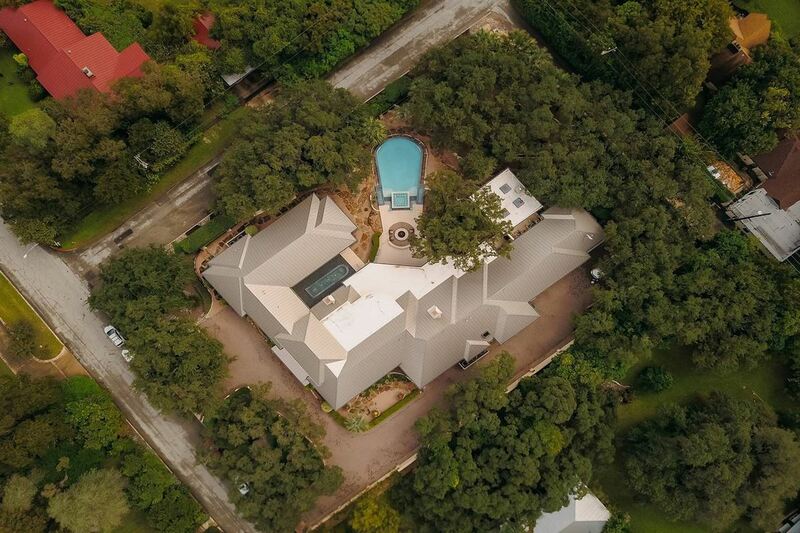 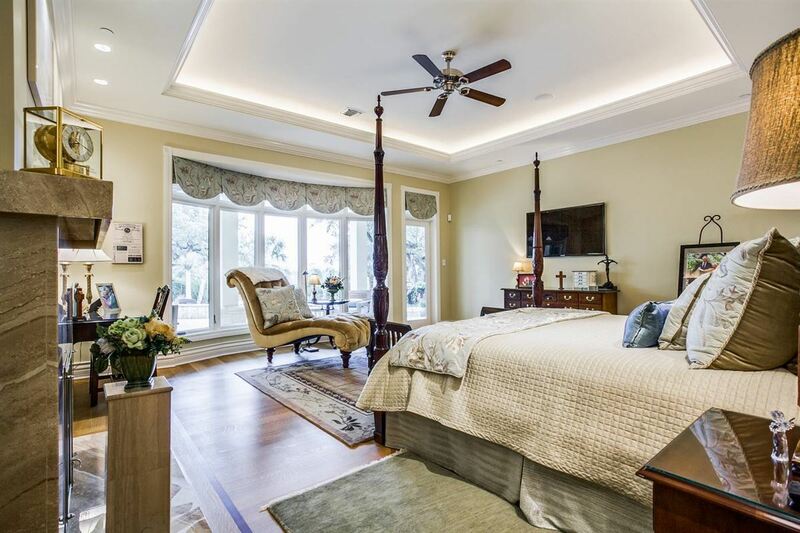 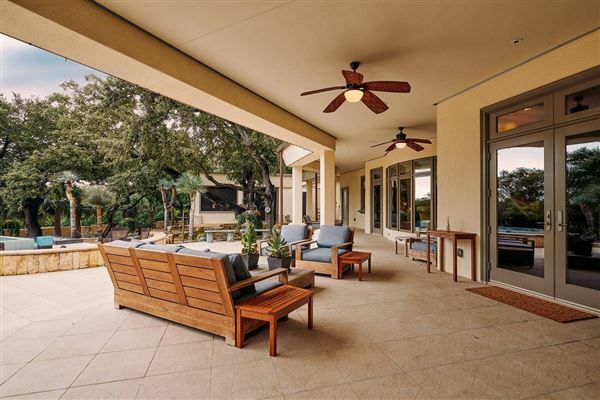 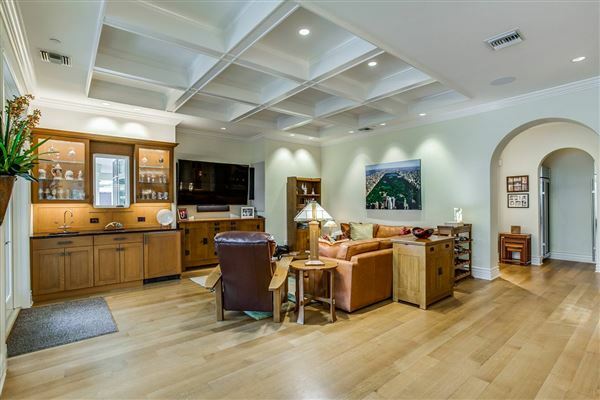 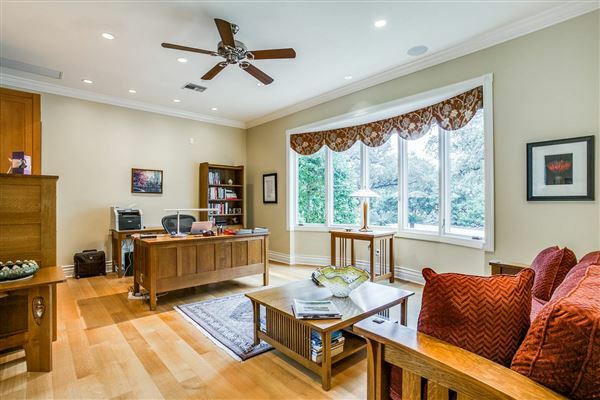 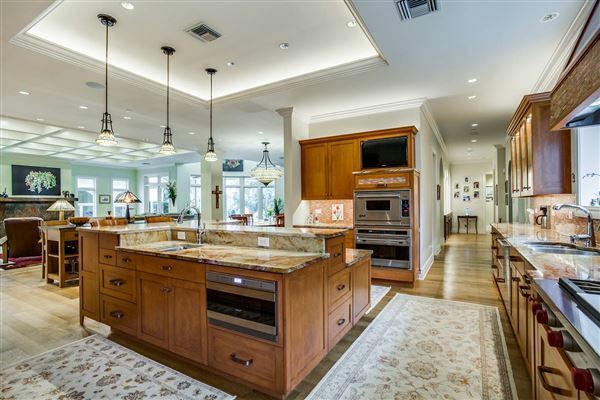 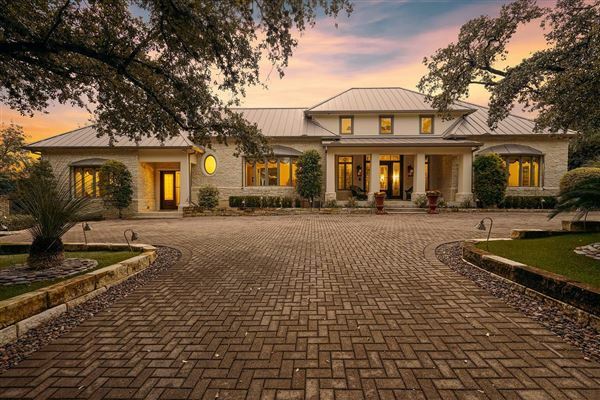 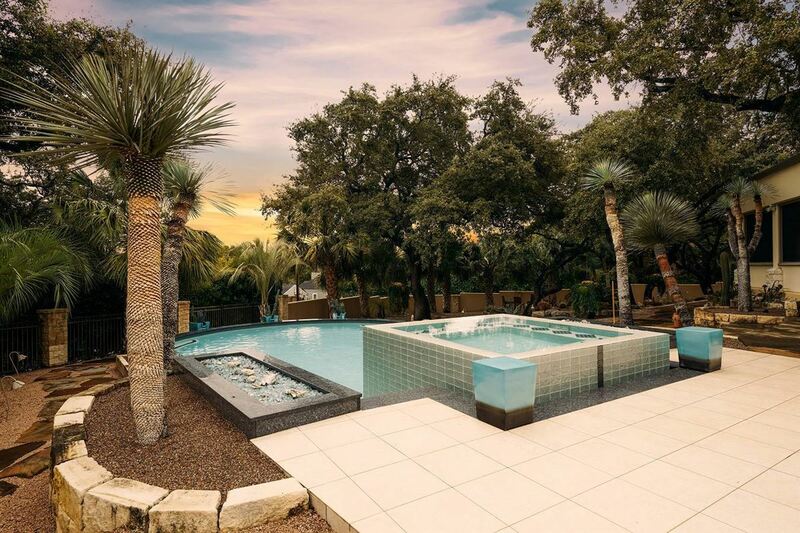 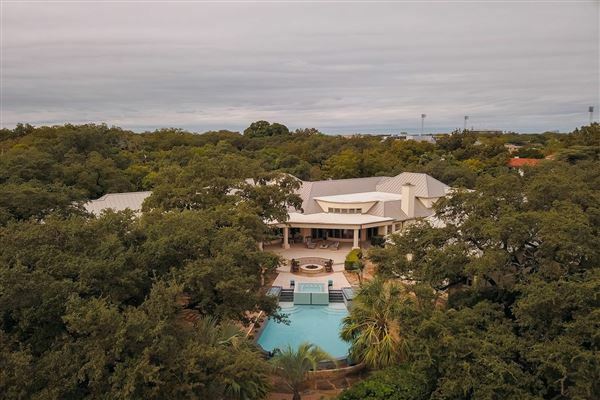 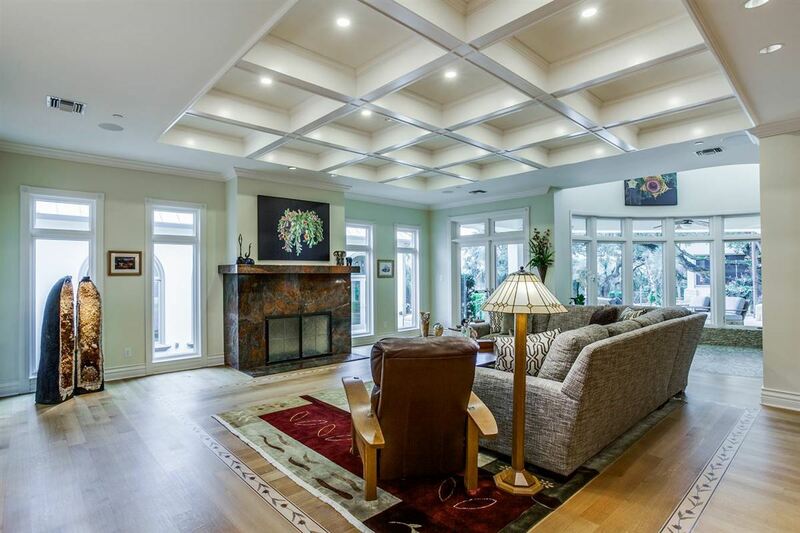 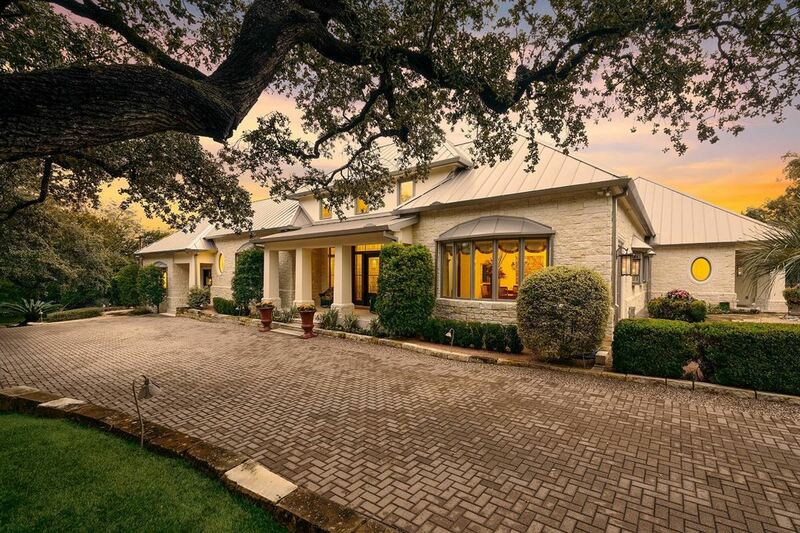 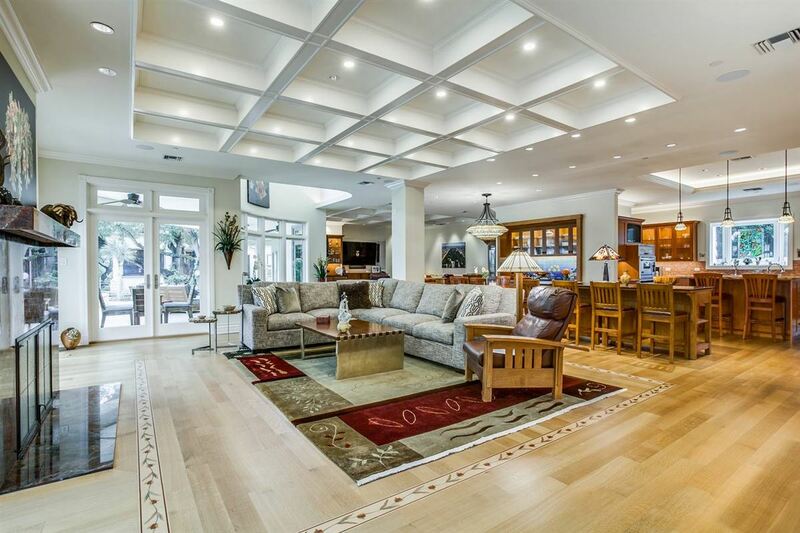 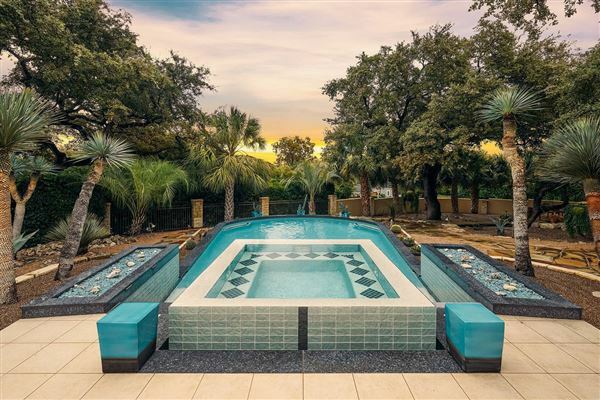 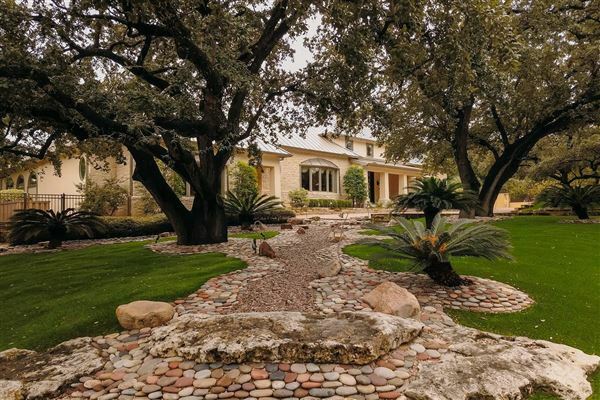 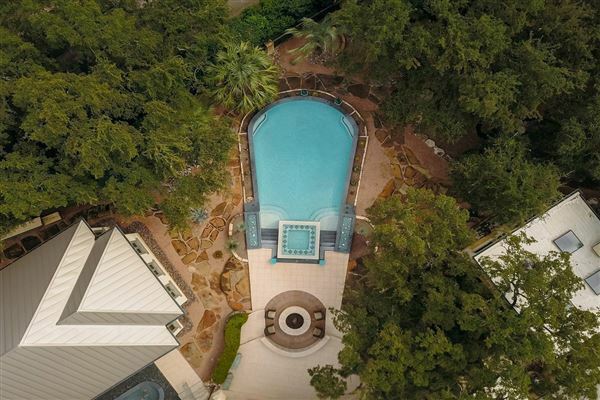 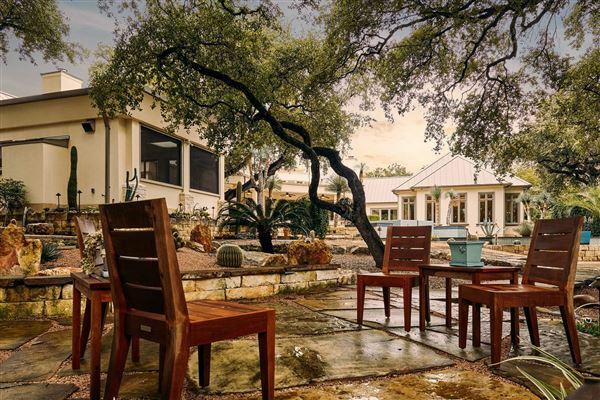 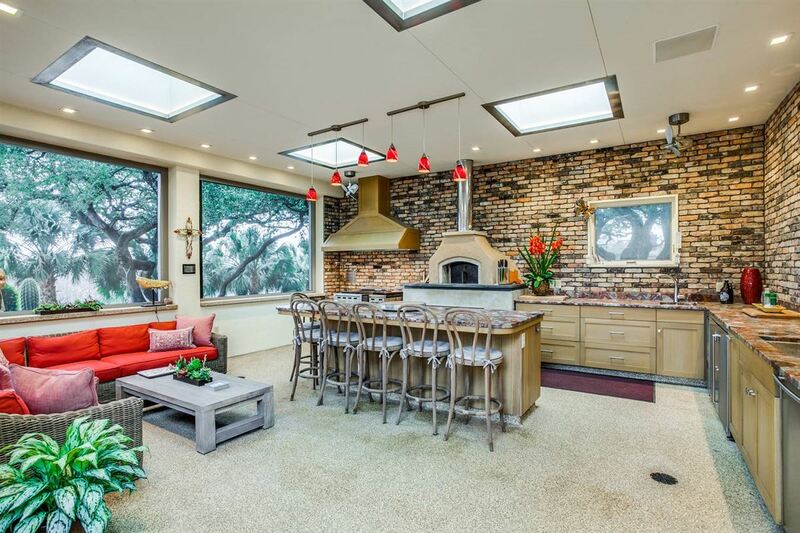 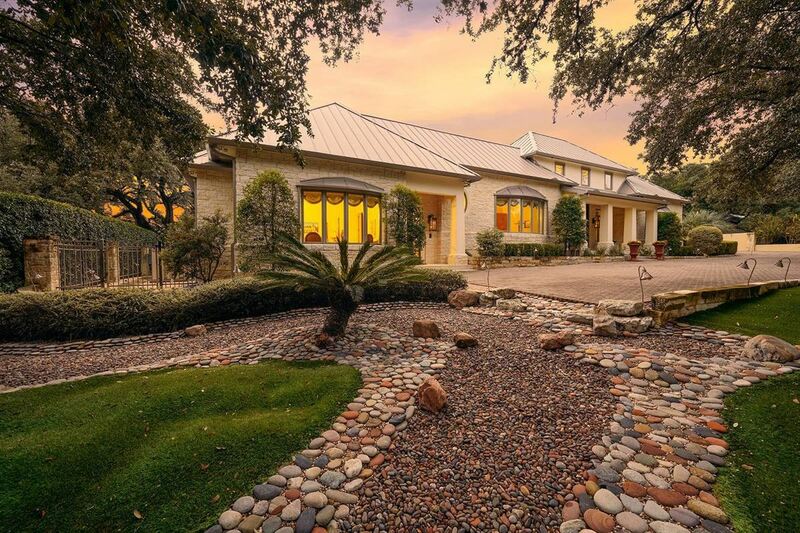 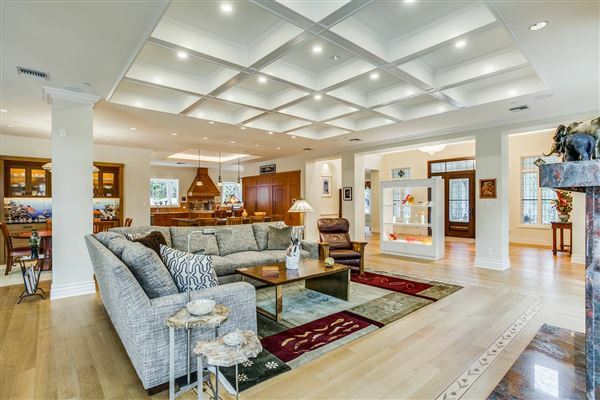 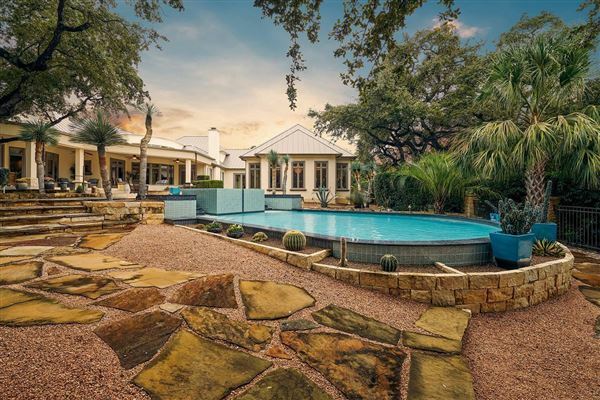 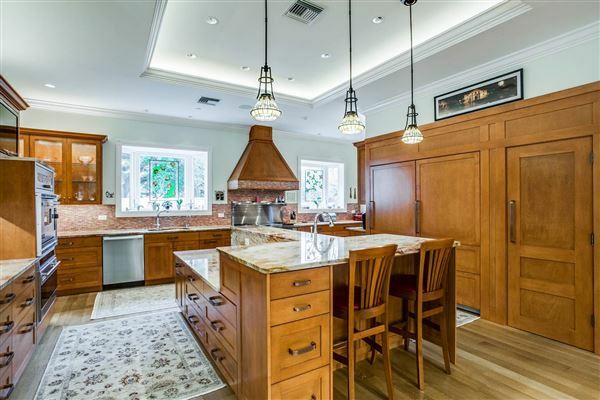 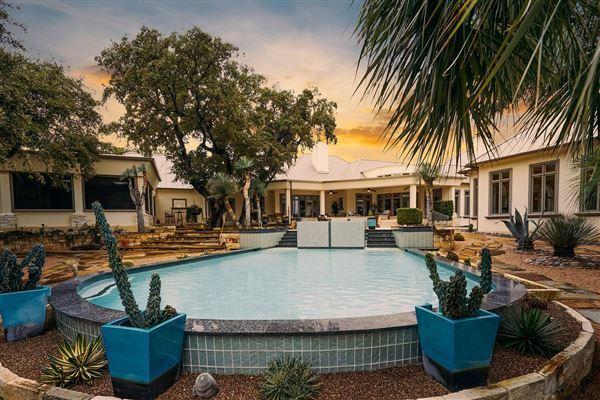 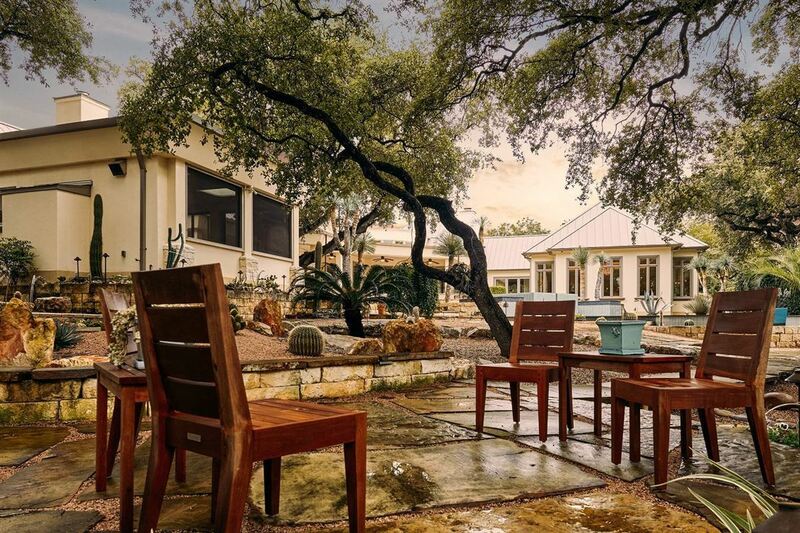 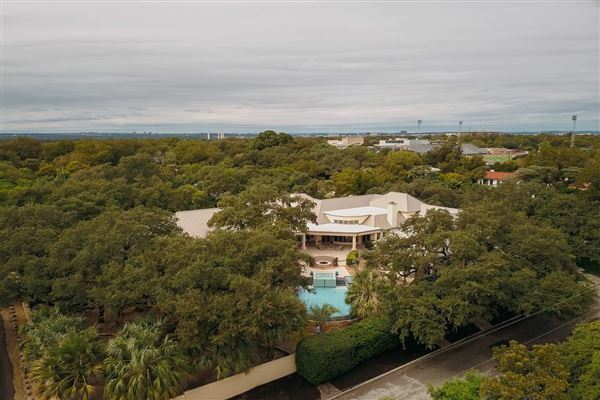 This stunning custom home designed by Mac Chesney sits on a corner lot totaling 1.08 acres, providing approximately 7,800 square feet of impeccable living and entertaining space. 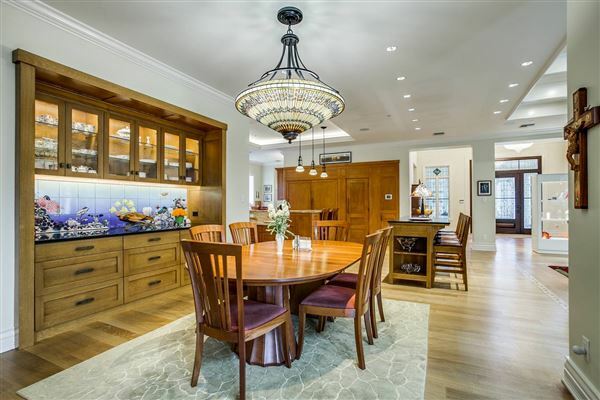 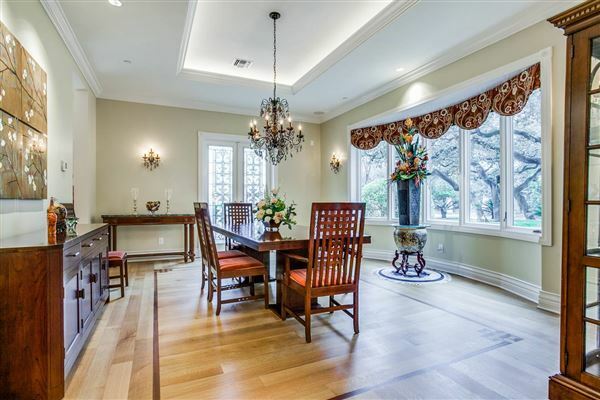 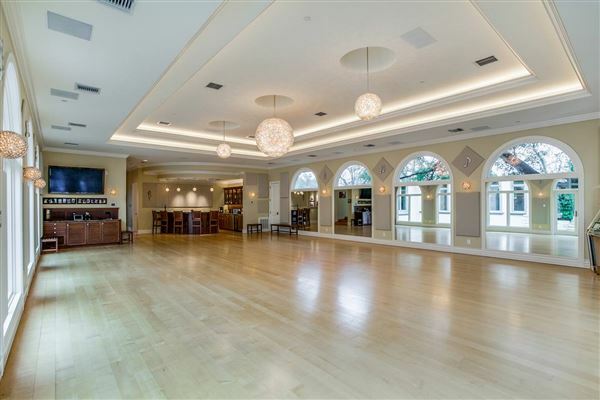 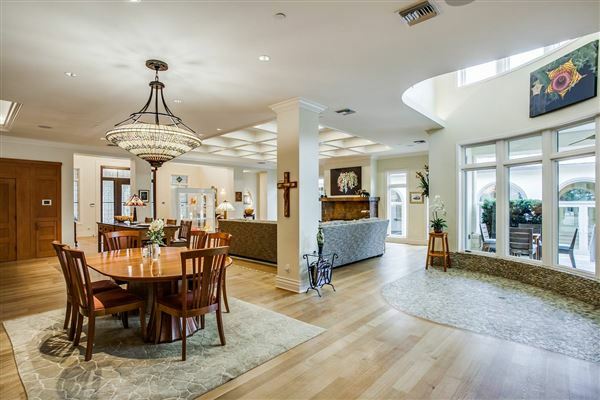 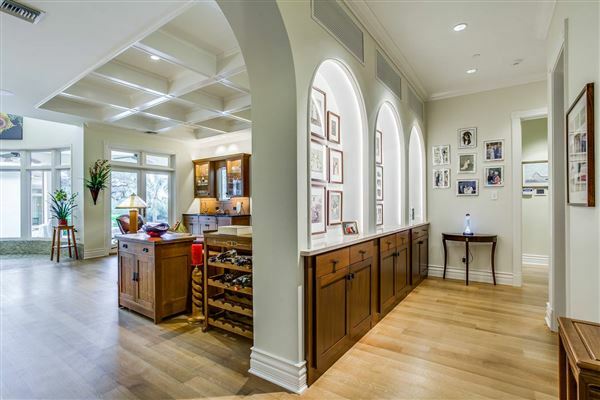 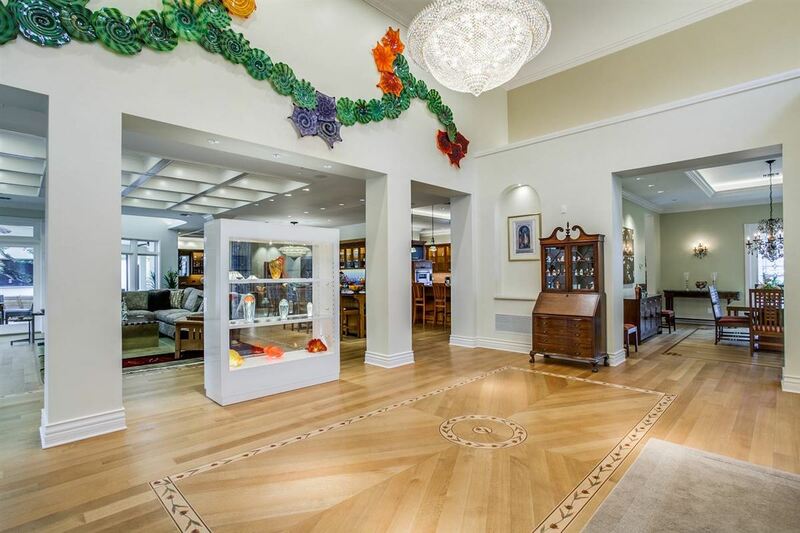 A crystal Shonebeck chandelier and Cavelini stained glass windows catch your eye the moment you enter this elegant estate. The great room was thoughtfully designed for effortless entertaining, with the formal and family rooms sitting just off the chef`s kitchen which evolves seamlessly into the formal dining room. 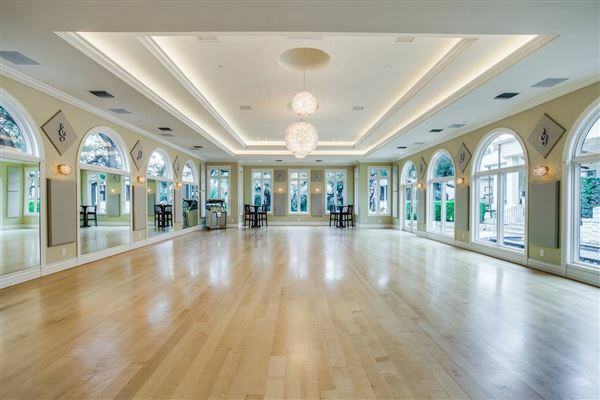 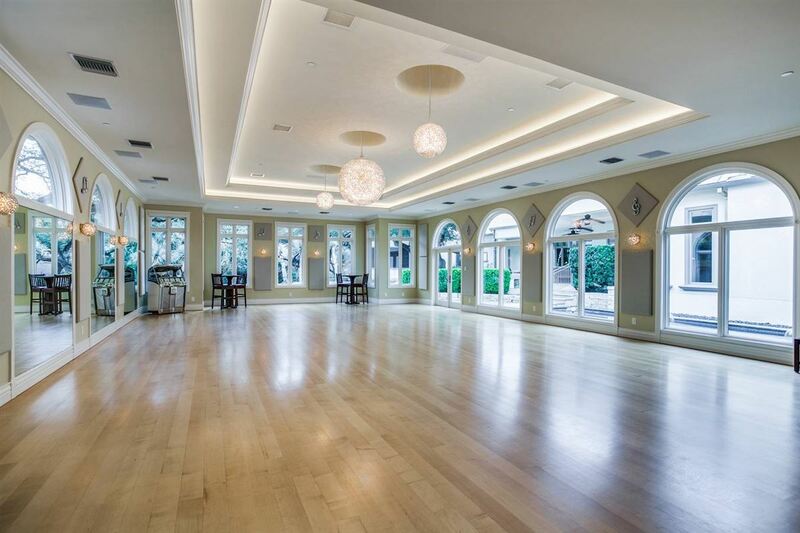 A custom ballroom/media room features a full bar and ice makers and offers breathtaking views of the lush fountain pool and grounds, a stunning backdrop for events of any size and scale. 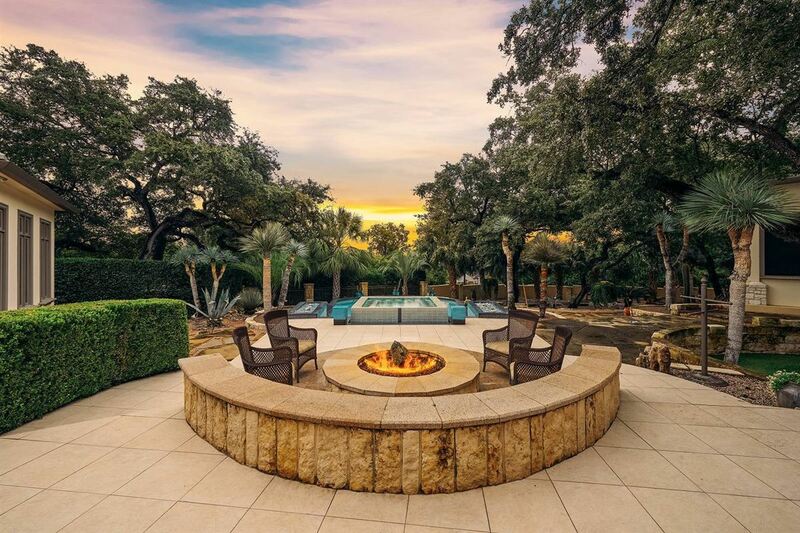 The luxurious master retreat beautifully accommodates its own granite fireplace. 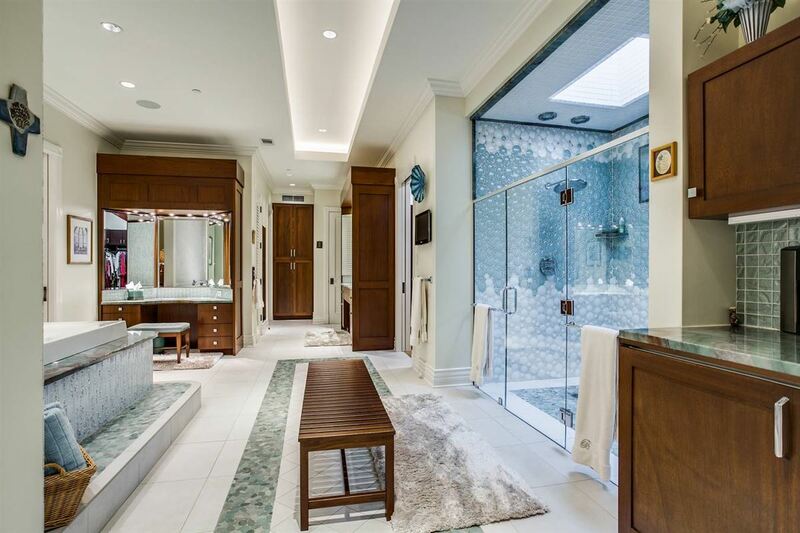 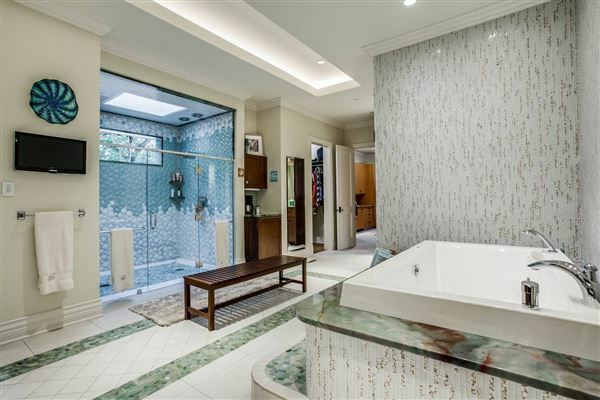 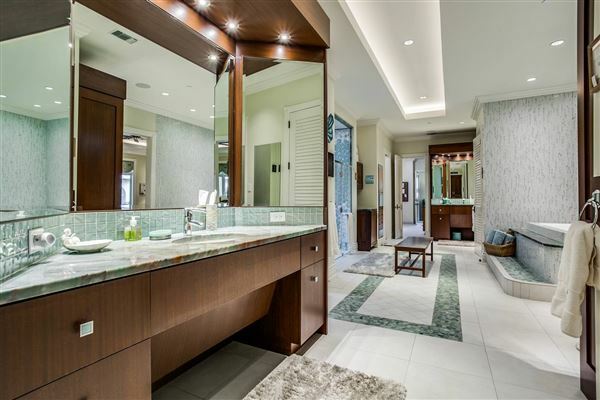 Here homeowners can relax from the busyness of everyday life within the spa-like private bath providing an oversized walk-in shower with dual rainfall shower heads, jetted tub, dual walk-in closets as well as a dedicated exercise room. 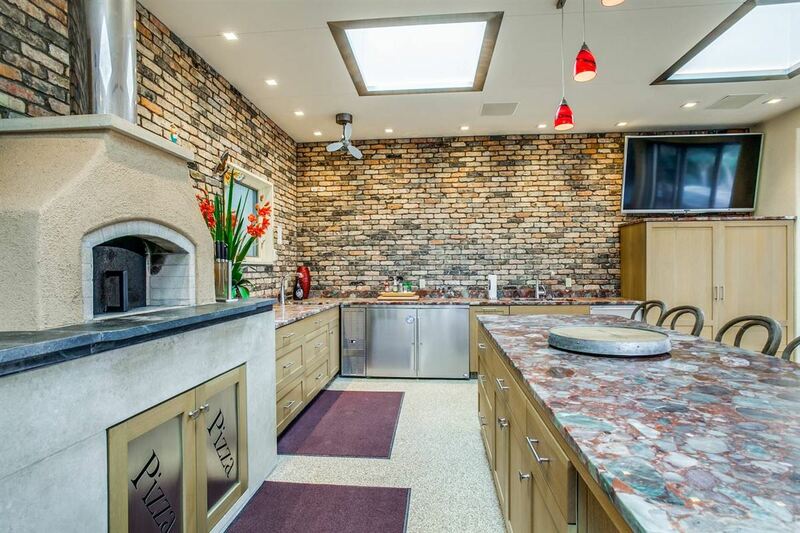 Additional features within this magazine-worthy residence include oversized picture windows, professional landscaping, a fully-equipped outdoor pizza kitchen, gas fire pits and an air-conditioned workshop. 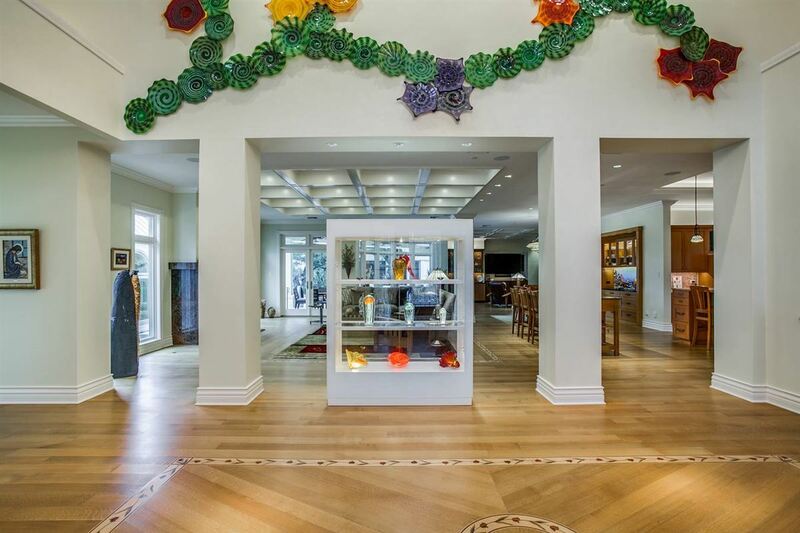 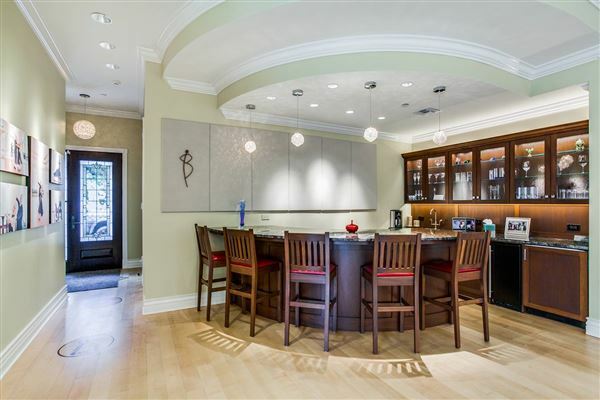 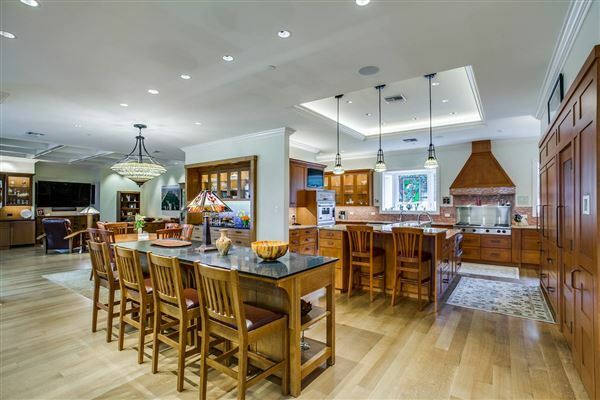 Setting a new standard for luxury living, this trophy property is truly unforgettable.